Founded by best friends Leah and Daisy, The Hardihood began out of a desire to create delicious and beautiful desserts, free of refined sugar and processed ingredients. 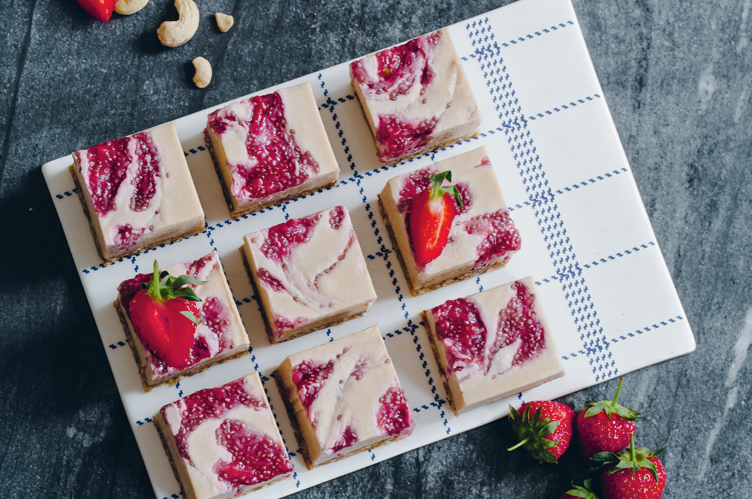 Since launching in 2014 the duo’s business has gone from strength to strength; most recently with the release of their debut recipe book Raw Cake. Here they share with us their insights on starting a business, the evolving attitudes towards nutrition, and their favourite pieces from the Great Plains SS17 collection. How did the idea behind The Hardihood come about? We both decided to give up refined sugar at the beginning of 2014 as part of a New Year’s resolution, and we noticed that we had to keep travelling to West London to find something to satisfy our healthy sweet treat cravings. Most sugar free cakes looked so brown, bland and boring, so we decided to start experimenting with our own. We bought a cheap blender, raided our local health food shop for all their dates, nuts and coconut sugar and started throwing things together. Our first creations were delicious, but sloppy looking. From the start we wanted to make sure everything looked abundant, vibrant and delicious. 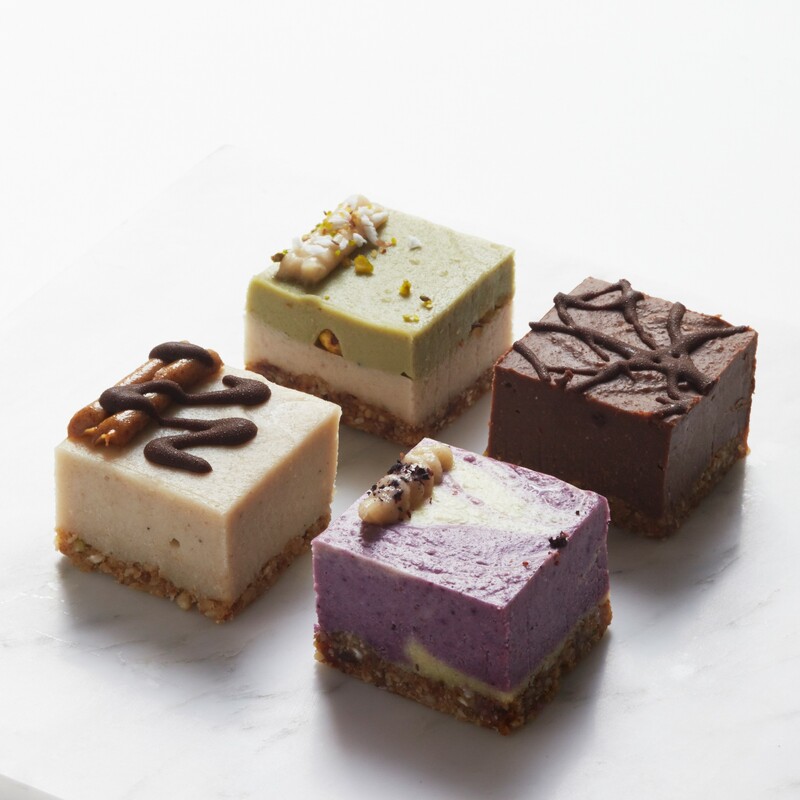 It’s important to us that when eating one of our cakes you don’t feel like you’re eating a second rate ‘healthy cake’, but that it’s just as delicious and satisfying as its sugary counterpart. What’s the best piece of advice you received when you were starting out? Build something that you would want to be a part of; if it wasn’t your company you would want to apply for a job. As you go further into building a business you realise how much hard work and dedication it takes. It will be on your mind every waking moment, so make sure it’s something that you love and that you’re not in it just for the perks. Being genuine will always shine through in your work. Where do you start when you’re creating new recipes? 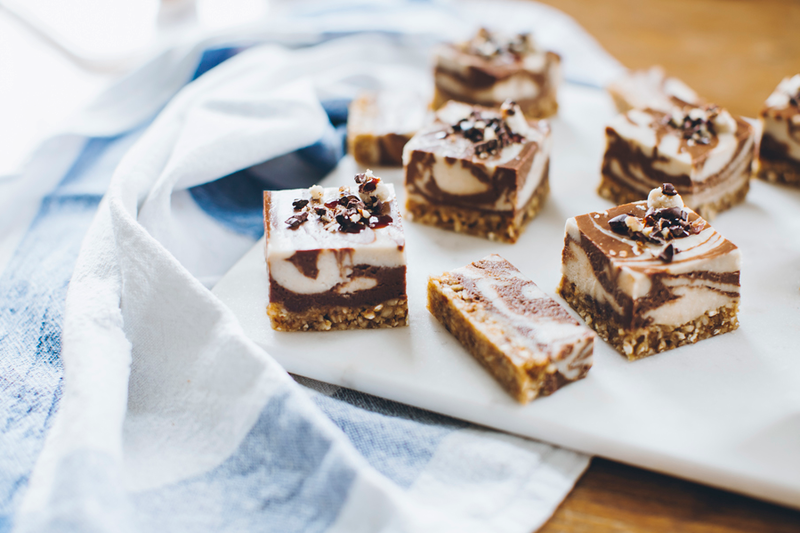 One way is that we think of our all-time favourite desserts, like Grandmas banoffee pie, and work out what healthy ingredients we can sub in to make a clean raw version. Or our early recipes were thought up just by throwing things into a blender and seeing what came out – some of our longest standing and tastiest recipes were created this way! That’s the great thing about raw, you can add a little of this or that to end up with a delicious tasting dessert, it’s less of a science than baking. Do you think people’s attitudes towards healthy eating are evolving? People are a lot more aware of healthy eating these days. We are starting to take responsibility for our health and realising that if we want to live longer, happier lives then it all starts with what we put into our body today. It’s so nice to see that people are a lot more informed about the effects of their diet now. There has been a certain amount of backlash for the clean eating movement, which we find a shame as it is only meant to be a positive option that we can choose for ourselves. Your tagline is ‘Less Vegan, More Vogue’. How important is aesthetic in your creative process? Our aesthetic is one of, if not the most important thing to us, and arguably the way that we have built our business. People don’t just eat with their mouths, they eat with their eyes too – would you want to pick up a bland looking cake over a colourful beautiful version? Do you have a favourite recipe from your new book? It changes weekly, but at the moment we’re loving the Dark Chocolate Truffles – we made a batch, but they didn’t last very long in the studio! Another recipe we love right now is the Glowing Skin Tonic, made with grapefruit juice, mint and collagen powder for a skin plumping boost. What are your top picks from the Great Plains SS17 collection? 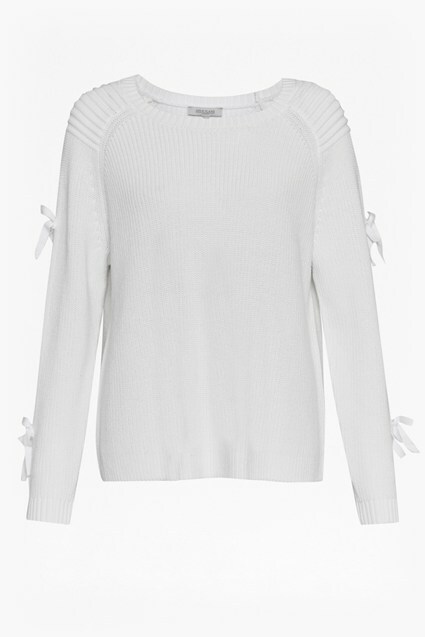 Daisy: The white kiki cotton bow detail jumper is perfect for London in springtime. I wear it over simple trousers for a comfy work look. The bow details on the sleeves create a beautifully feminine drape. 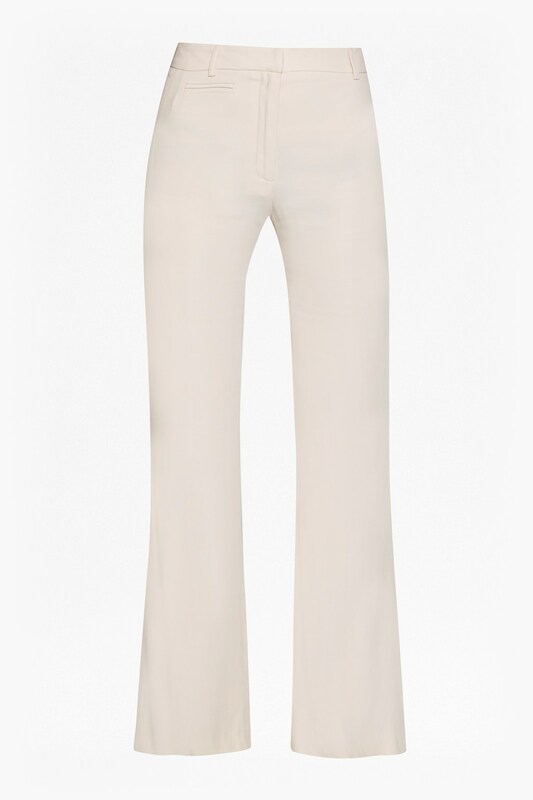 Leah: The pink flared Megan trousers. Anything silk and loose fitting that I can glide around in is my jam, I love to layer lightweight silk pieces on top of these.